Woodman's experience in the medical travel sector and his vision of the future of global healthcare will contribute greatly to our event. Josef Woodman, CEO of Patients Beyond Borders, has been selected to be a featured expert panelist at Europe's premier event for the medical travel industry. Scheduled for April 25 – 27, the three-day event will take place in Berlin, Germany, and will highlight issues of global healthcare and medical tourism, with noted speakers and industry leaders from around the world. The European Medical Travel Conference(EMTC), now in its fifth year, will commence with a keynote address by the Governing Lord Mayor of Berlin, Mr. Klaus Wowereit. This year’s theme, entitled “Turning Potential into Reality,” will include healthcare professionals and providers from Europe and around the world who have convened to help shape the future of global healthcare and international medical travel. Other notable presenters include representatives from the World Health Organization, the European Parliament, the Joint Commission International, Treatment Abroad, Spa Finder Europe and Dubai Healthcare City. Woodman will share two workshops with notable guests: Ruben Toral, founder and director of Medeguide, and Keith Pollard, Managing Director of Intuition Communication Ltd. The first session, entitled “Bridging the Gap Between What Medical Consumers Want and What Providers Deliver,” is slated for Thursday, April 26, 2:30 – 3:30 P.M., and features Woodman and Toral in a discussion of how to address the future of international hospital marketing and provide patient-centric medicine. As the author of Patients Beyond Borders, Woodman spent more than five years touring 150 medical facilities in 30 countries, researching contemporary medical tourism. The cofounder of MyDailyHealth and Ventana Communications, with a pioneering background in health, wellness, and Web technology, Woodman has compiled a wealth of information about global health travel, telemedicine, and new developments in consumer and institutional medical care. He has lectured at the UCLA School of Public Health, Harvard Medical School, and Duke Fuqua School of Business, and has chaired and keynoted conferences on medical tourism and global healthcare in 14 countries. 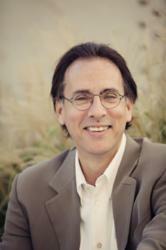 Woodman has emerged as an outspoken advocate of global consumer healthcare and medical travel. 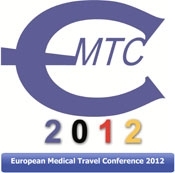 EMTC is the annual premier event in Europe promoting international medical travel. The conference is designed as an open, neutral platform to promote and explore the potential of medical tourism in a given region/country. The conference provides pertinent medical travel information by top decision makers, providers, and intermediaries supporting both inbound and outbound international medical travel as well as networking opportunities, with a special focus on cross-border healthcare regions within the European Union. Those interested in attending or becoming a sponsor should contact EMTC. Patients Beyond Borders, based in Chapel Hill, NC, publishes books, eBooks, video, online, mobile, and social networking information and applications for healthcare consumers seeking the best global options in medical care. Its flagship international title, Patients Beyond Borders, soon to be published in its Third Edition, is the world’s leading consumer reference guide for medical tourism. Country Editions, City Editions, and Facility Editions help healthcare consumers make informed choices in searching, vetting, and obtaining safe, high-quality, affordable healthcare around the world. Note: Qualified members of the media are invited to request a review copy of Patients Beyond Borders: Second Edition or any other title from our library. Please contact jorchard(at)patientsbeyondborders(dot)com.